Android is a free, open source, Linux-based, multiprocessor, multi threaded OS mobile platform. Android is not a device or a product and it is not even limited to phones you could build a DVR, a handheld GPS, an MP3 player, etc. Android is one of the fastest growing platforms in the market today. Android is a rich and open operating system that allows us to take maximum advantage of customization that we can do for creating fantastic android application and Game Development. Android application development has become indispensable for all business as the use of mobile phones has gone up drastically. 70% of all handheld devices run android applications across the world. Consumers use Android applications for all their works from booking tickets to shopping and reading books. Omkarsoft is a leading android app development company that renders qualitative android apps development solutions to enterprises across the globe. 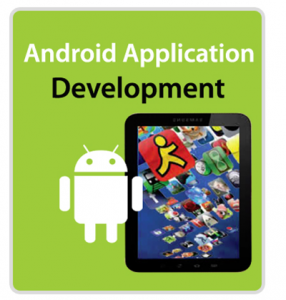 Omkarsoft has expertise in Android App Development, Android Game Development and Custom Mobile Application Development. Omkarsoft is involved in Android application development across multiple domains. We have proven expertise in Android apps development that ensures value-added services to your mobile operations. Our developments range from simple to complex applications covering small to large sized businesses. Our designers and developers to explore complex Android SDK platform and utilize all high-end possibilities available for Android through its comprehensive set of development tools. We provide customized services with our field knowledge and expertise in various tools and technology. Why Omkarsoft for Android App development? We at Omkarsoft are pioneers in Agile methodology which ensures high customer satisfaction by delivering the applications faster, Cheaper and with high quality. We engage customers throughout project life-cycle allowing them to test and feel the product much before the actual delivery and incorporates feedback and changes to Application to ensure it matches their expectations. As a mobile application development company we will take care of entire development cycle from idea generation to App store implementation and ongoing support. ensure App delivery is exactly matching with customer expectations with timely manner. mapimoapp.com : Track your family ,track your vehicle by using mapimopp.It is a very simple easy usable android application. Zunu : Our apps are full time marketing machines in the pockets of your target audience.